Not everyone is aware that The Lost Dogs’ Home takes in just as many cats as it does dogs – around 10,000 of each every year. But while dogs and puppies tend to go to new homes quickly, some cats – especially older ones – can be awaiting their ‘second chance’ for two to three weeks. Kate (pictured) is one such cat, currently for adoption at our North Melbourne shelter. Her elderly owner has moved into a nursing home and was unable to keep his beloved pet. Whilst kittens are undeniably cute and great fun, by adopting an adult cat you will not need to spend as much time on training and they don’t tend to claw furniture as they already know the ropes, so to speak. You also have a better idea of what you’re getting with a grown cat: activity level, sociability and health, and given time in a loving environment, adult cats form just as tight a bond with their new family as any kitten can. 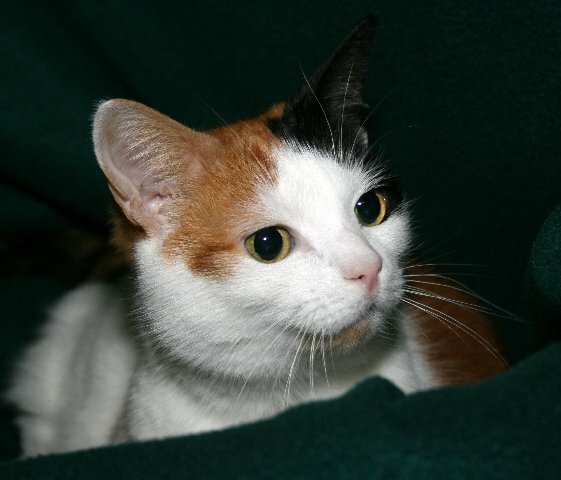 A Japanese Bobtail mix, Kate is used to being an indoor cat so is looking for someone who can accommodate this. When you pat her, she responds with appreciative purrs and will make a wonderful addition to your home. If you are in the position to adopt a cat, please consider Kate, or any one of the older cats that we have available. All cats for adoption at the Home have been vet checked, vaccinated, desexed and wormed.